That horrible moment you come to the realization your going to have to get your car towed can be very irritating! At Towing Solutions we can help take a little of that irritation away. With our quick response times and affordable rates we aim to make your day a little easier. 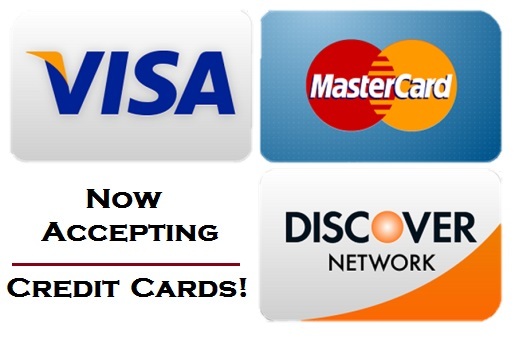 Give us a call at (951)445-8868! Listed below are some of the Towing Services we offer. 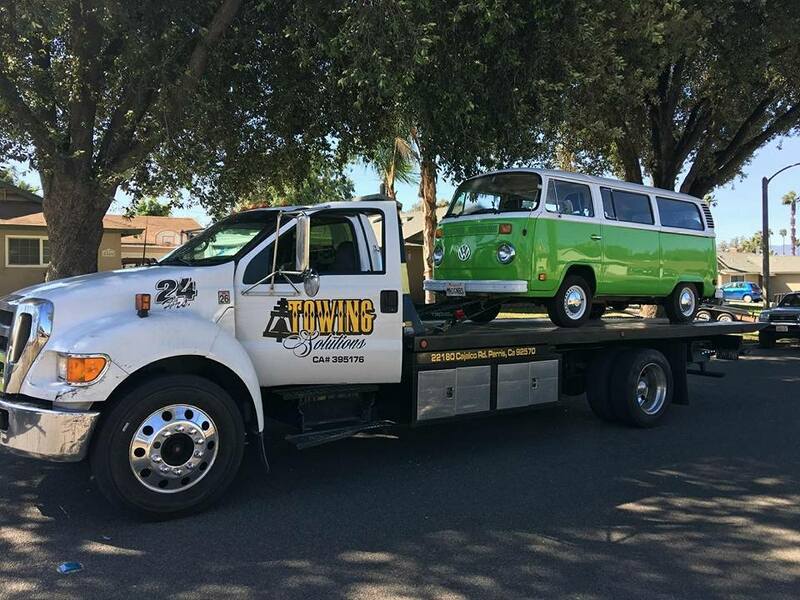 When you call Towing Solutions for towing service our trained dispatcher may ask you a few questions about your vehicle to determine which truck best suits your vehicles needs. Here is a list of a few questions you can expect. Is your vehicle front wheel drive? Is your vehicle rear wheel drive? Is your vehicle all wheel drive? Our 24 hour emergency roadside assistance is available 365 days a year rain or shine. So you can rest assured that you will receive the help you need to get you back on your way no matter the time, day or night. Give us a call at (951)445-8868 and one of our highly trained professionals will arrive in no time at all. 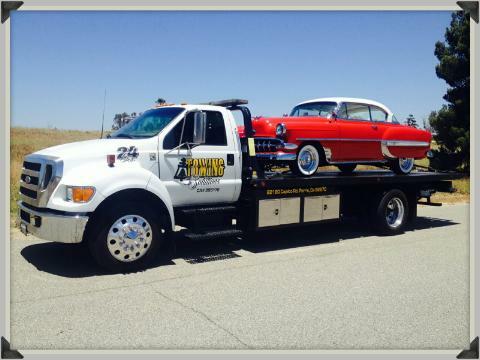 We are a family owned and operated tow truck company with many successful years in the industry. That is why we look out for our loyal customers and the keep referring us their friends and family. 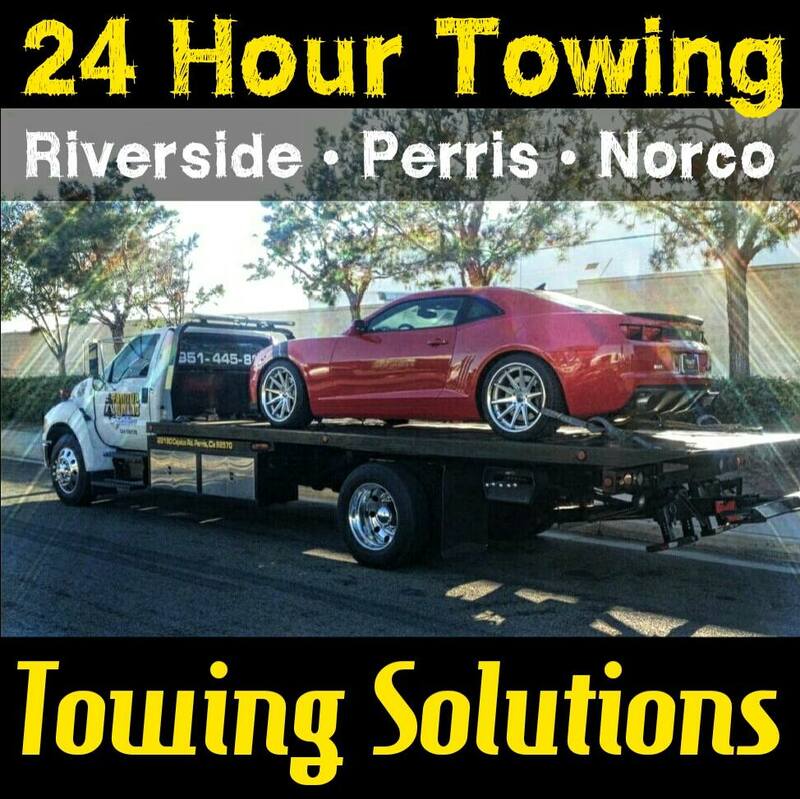 If you or anyone you know needs to get towed or needs roadside assistance please give us a call 24 hours a day!